Is anyone else addicted to getting sample boxes? I have limited myself to three a month and one of them is always Birchbox (and another is always a box for Eleanor.) 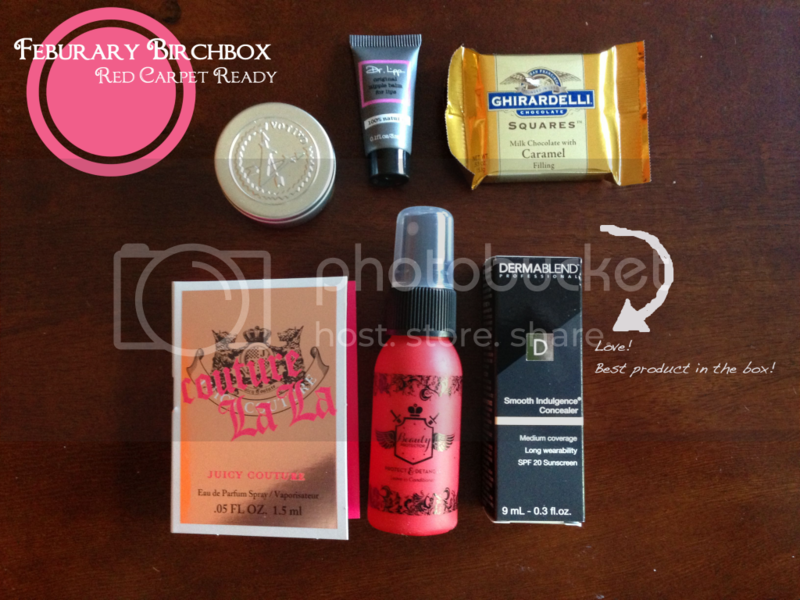 Birchbox (BB) was one of the first sample box companies and have been one of the best when it comes to innovative and small brand cosmetic companies. Their points program is top notch. You get 10 points for every review and most boxes have at least 5 samples. When you reach 100 points you have $10 dollars to spend in the Birchbox shop. I save my points, wait for a coupon code and buy my favorite items! 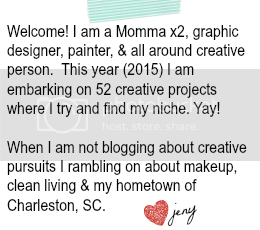 They do 15-17 box configurations every month- these are based on your profile so you usually don't get the same box as someone else and that can be frustrating if you see something you love in someone else's box. 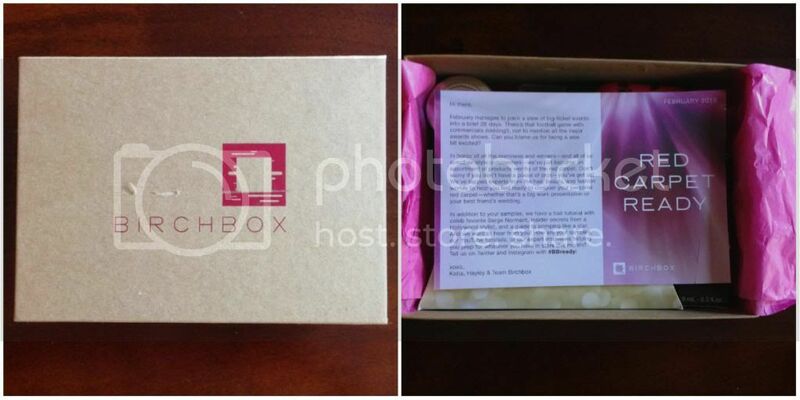 Search #birchbox on Instagram to see many of the different boxes out there. I continually change my beauty profile in an effort to eliminate the dreaded perfume sample that comes every single month. No luck yet. 2. Dr. Lipp | Original Balm for lips- I was excited to try this as I heard lots of good things about it, but my sample was nearly empty. This wasn't the first time this has happened with a seal BB sample. I was disappointed. 4. Juicy Couture | Couture La La- BORING this is the fourth Juicy Couture perfume I have gotten in a BB and they all smell exactly the same. 5. Beauty Protector | Protect & Detangle- Smells nice and helped with the after shower hair comb through. 6. Dermablend | Smooth Indulgence Concealer- Love it! This is a very nice size sample and the product works better than MAC long wear concealer. Creamy, but sticky (not a bad thing) I was able to blend this under my eyes for nice coverage. Happy with the product and if the sample continues to preform I will definitely be purchasing. 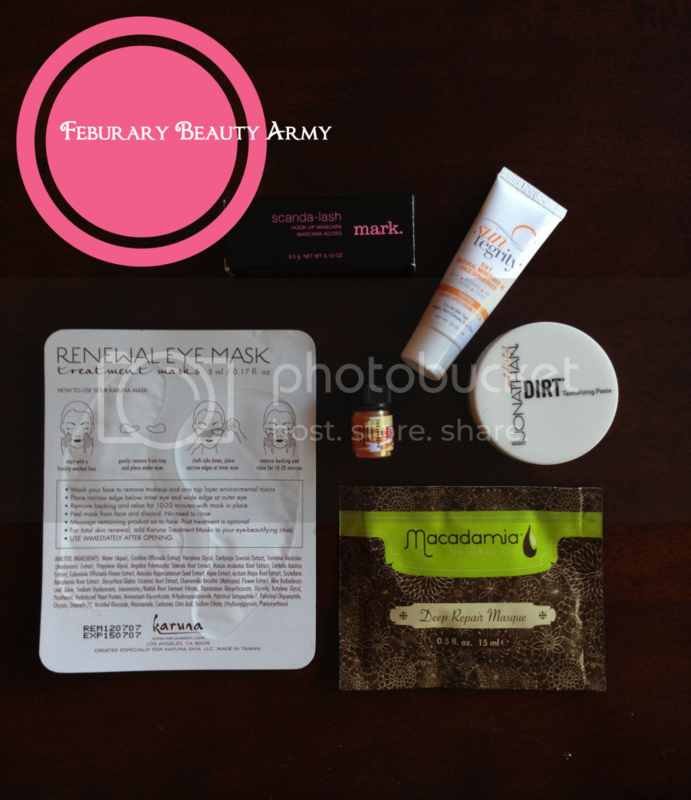 Beauty Army was my other sample box choice for this month and I actually really enjoyed the process of this box. When you join you take a beauty profile and choice up to 6 of the samples revealed. Don't like the choices, take your profile again adding or deleting to see different products. They add new samples everyday at 9AM PST and you are welcome to revise your box while your sample window is open. I checked it out over three days and refreshed my profile a few times to get the items above. It was fun and I picked things I have been wanting to try. Jonathan hair products for the win! They also offer a rewards program, but not as generous at BB. For every six review you get $6 off any full size order in their shop. I was happy with this first box and will be trying Beauty Army again next month. 1. Mark | Scanda lash- this was a bonus this month to celebrate Beauty Army's birthday. 2. Suntegrity | 5 in 1 tinted moisturizer- I like moisturizer with an SPF and in the South it is essential to wear an SPF everyday. I haven't tried this yet, but will update when I do. 3. Jonathan | Dirt- LOVE!! Great product and this sample will last a long while. Not sticky and allows your hair to move once applied. 4. Macadamia | Deep Repair Mask- there isn't a single person in the beauty world that hasn't talked about how amazing this product is. I am looking for any hair repair I can as my hair it what has suffered the most following the birth of Eleanor and return of hormones. My hair is always so dry. I am looking forward to enjoying this sample. 5. Karuna | Renwal Eye Masks- Yes, very much looking forward to using these. Tonight in fact! I have been suffering with bronchitis and the coughing hasn't been kind to my sleep. 6. Whip Hand Cosmetics | Loose Pigment Eyeshadow in Medal of Honor- This is an exciting sample pick. The color is beautiful and looks nice when paired with MAC paint pot in Painterly. Thank you so much for sharing your Kit, Gorgeous! We can't wait for your individual reviews!